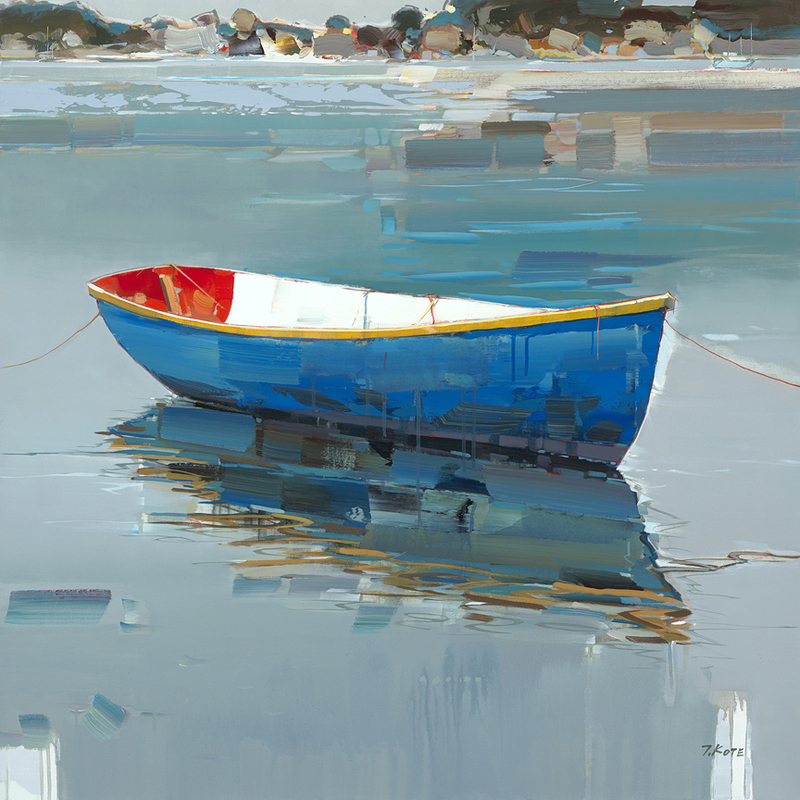 Ocean Galleries welcomed Josef Kote to Stone Harbor for the first time over Memorial Day weekend in 2017. A New York-based artist, Kote is best known for his distinctive style and technique. His paintings are symphonies of light and color that are lyrically stunning and romantic, edgy and current. Kote achieves this delicate balance of seemingly contradictory qualities through his complete mastery of technique and through years of experimenting to find his own unique style. With the lightness of a true master’s hand, he combines classic academic and abstract elements, fusing these, literally letting them run into each other with dripping colors and light, by using his signature drip effect along the bottom. Kote’s trademarks are his bold brushwork, and sweeping strokes of vibrant colors applied – more often than not – with a pallet knife, while other areas of the canvas are left monochromatic and devoid of detail, creating a negative space that lets the eye drift to infinity. The results are paintings that tremble in stillness with energy and light. A compelling selection of limited edition artwork from The Art of Dr. Seuss Collection was on display at Ocean Galleries during the 2017 summer season, featuring his little-known “Collection of Unorthodox Taxidermy”. Eighty years have passed since Dr. Seuss produced what he called his “Collection of Unorthodox Taxidermy,” an amazing menagerie of Seussian animals often constructed from real animal beaks, antlers, horns, lions’ teeth, rabbit ears, and turtle shells. 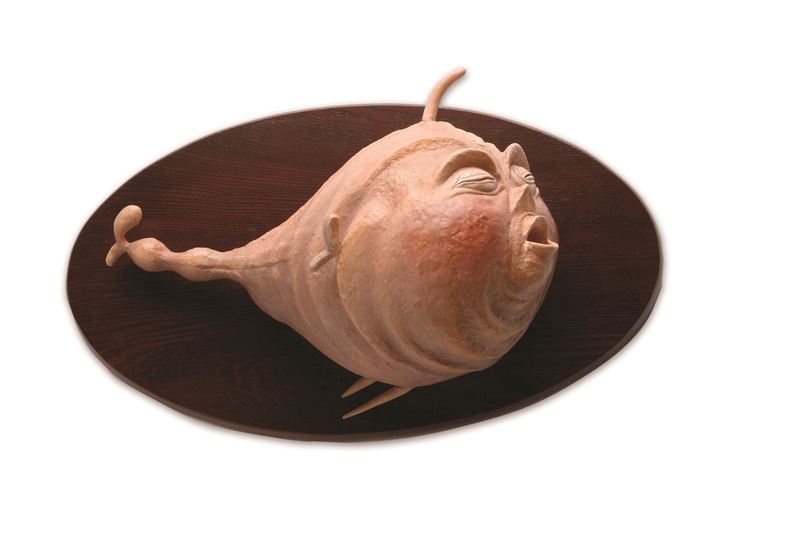 Celebrating the release of Dr. Seuss’s Powerless Puffer — the final Marine Muggs cast-resin sculpture in the “Collection of Unorthodox Taxidermy” — a traveling exhibition was launched to feature all 17 of these incomparable artworks. This new exhibition, If I Ran the Zoo, marked the first time all 17 sculptures have been presented together in an exhibition dedicated to Dr. Seuss’s sculptural heritage. The exhibition highlighted Dr. Seuss’s little-known sculptural legacy and spotlighted the fascinating correlations between his two-dimensional artworks and three-dimensional sculptures. The exhibition also featured rarely seen estate authorized limited editions from the Secret and Archive Art Collections. Sculptures and artwork are available for acquisition. The iconic Peter Max, “America’s Painter Laureate,” returned to Ocean Galleries over the Fourth of July weekend with a collection of his recent works and most-revered imagery spanning five decades. The 2017 exhibition marked the 50th Anniversary of the Summer of Love and included many of Max’s vibrant, cosmic images that captured the spirit of the 60s youth movement and were cited by art critics as “the visual counterpart to the music of the Beatles.” A pop culture icon, Peter’s transcendent imagery, bold colors, and uplifting themes have touched almost every aspect of American culture and inspired generations. 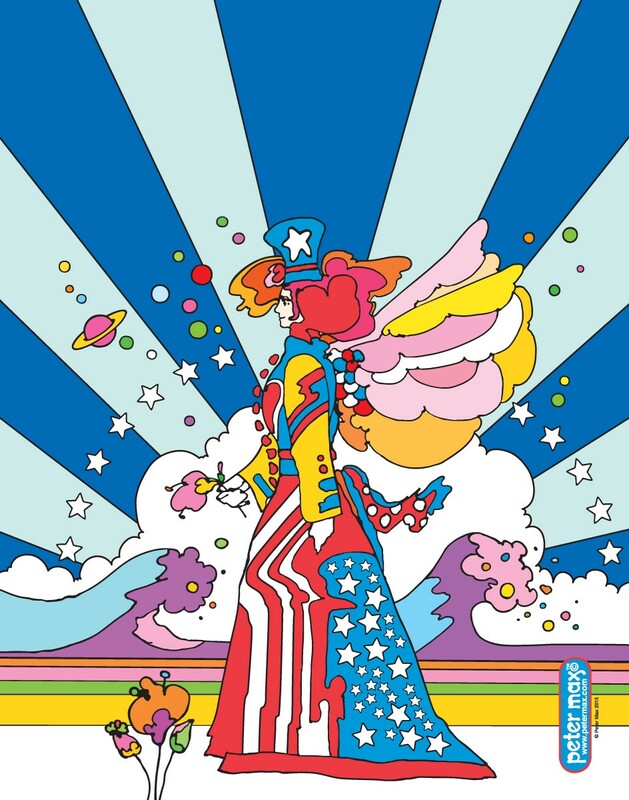 Throughout his incredible artistic career, Peter Max has been the official artist for many national and international events, has painted presidents, world leaders and rock stars, and has created artwork on everything from a Boeing 777 to a 600-foot Woodstock stage. Peter has been the official artist of the GRAMMYs six times, and his recent works feature celebrity portraits of legendary musicians Tom Petty, Lionel Ritchie, Bono, and Bruce Springsteen, each of whom have been honored as The GRAMMYs MusiCares person of the year. 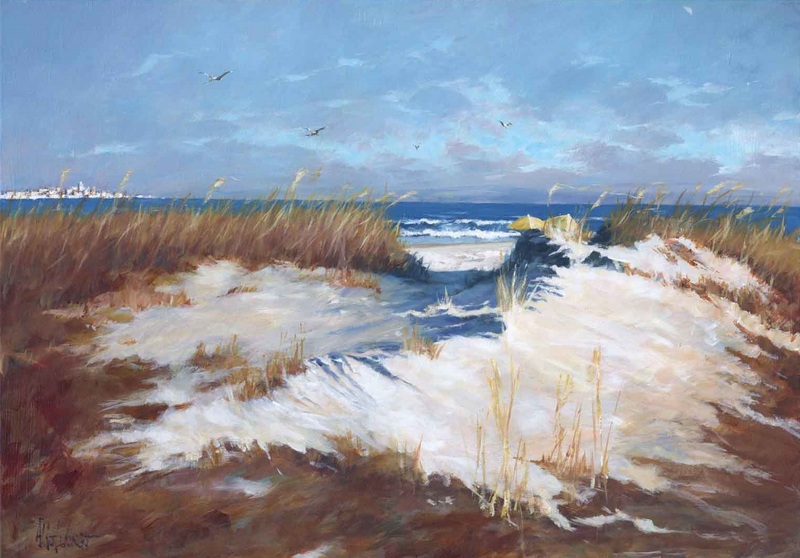 In addition to a collection of his famous cosmic images in celebration of the Summer of Love, this year’s exhibition will include numerous paintings created specifically for the Stone Harbor exhibit. Born in Argentina of Italian heritage, Aldo Luongo graduated from the Academy of Fine Arts in Buenos Aires. In the 70s, he had his first major success with multiple reproductions of his black and white drawings. Released to great critical acclaim and garnering huge commercial success, the art put him on the map as a major international artist. Luongo has continued his reign at the top of the contemporary art world for almost four decades. From his acrylics to his fine art prints, all of Aldo Luongo’s exquisite art embodies the same sense of fluidity and intensity, the result of a true artist engaged in the passionate process of creation. His bold, impressionistic style has often been referred to as “Romance on Canvas.” Central to all of Luongo’s paintings is the balance between memory and hope, sorrow and humor, freedom and control. 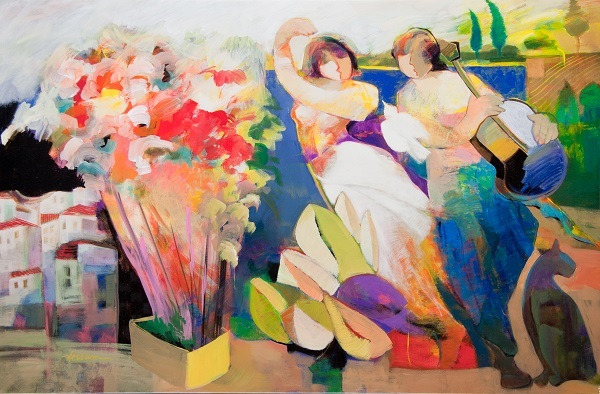 Aldo Luongo’s artwork captures more than just the viewers gaze…it echoes the experiences of life lived to the fullest. With an iconic style that the New York Times described, “exudes warmth, optimism and love,” Romero Britto is an international artist that uses vibrant, bold and colorful patterns to reflect his optimistic view of the world around him. His playful themes and hard‐edged compositions, combined with his unique talent, unshakable resolve, and belief in his art, have granted him worldwide recognition, with galleries and museum exhibitions in over 100 countries and counting. The artist’s pop sensibility has leant itself to collaborations with global brands such as Audi, Bentley, Coca‐Cola, Walt Disney, Evian, Hublot, and Mattel, to name a few. 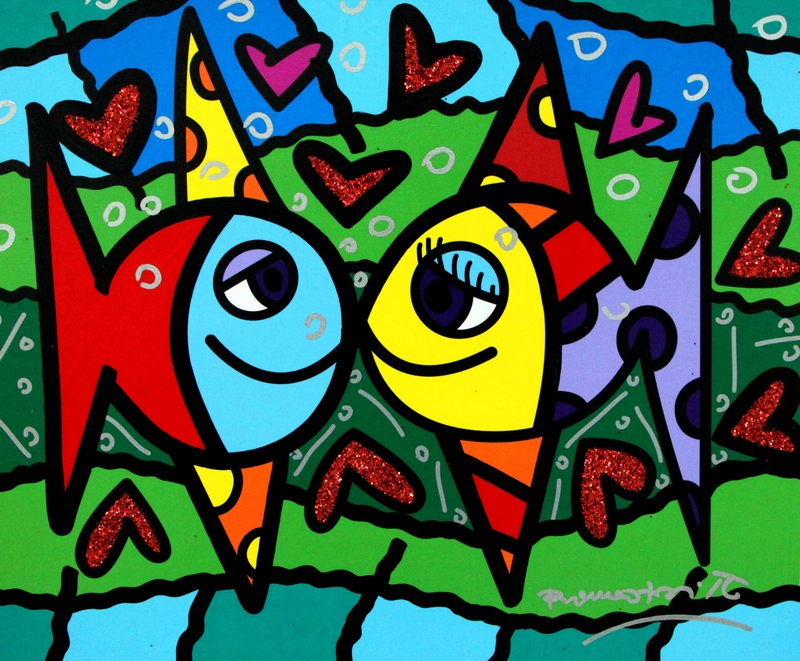 Britto’s work evokes happiness and hope using a visual language all its own and is, simply, relatable to all. Check out Hessam Abrishami at work as he enhances one of his gorgeous paintings in the Stone Harbor gallery on Friday, September 1, 2017.